The HRB Mother and Baby Clinical Trial Network Ireland brings together leading Irish obstetric and neonatal researchers, with an international reputation to address problems in women and children’s health that will have a global impact. Perinatal disease accounts for nearly 10% of the global burden of disease. Unfavourable pregnancy and birth outcomes can have devastating effects and life-long consequences on families. There is a lack of Research and Development (R&D) in perinatal health due to the complexity of conducting trials in the uniquely vulnerable populations and conducting long-term follow up. The HRB Mother and Baby CTNI has a well-established record in collaborative research and in conducting large-scale, multicentre, randomised controlled trials. 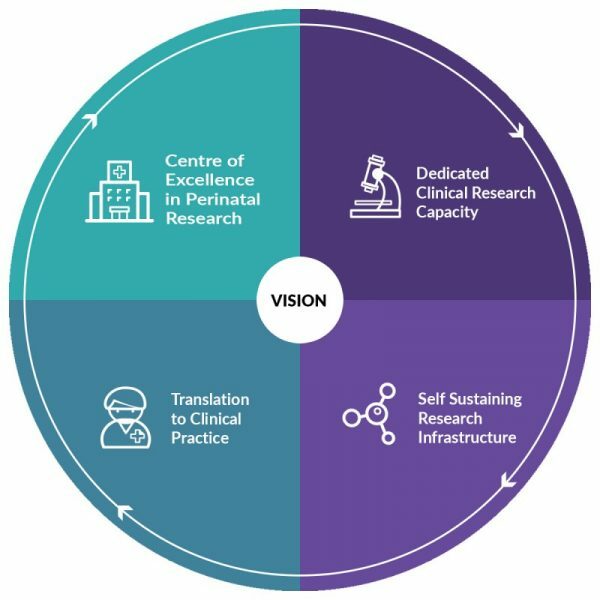 The network builds on the complimentary world class expertise and strengths of both INFANT and Perinatal Ireland with a core focus on conduct of clinical trials of novel interventions and diagnostics in pregnancy and neonates.